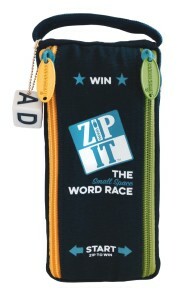 ZIP IT GAME ZIP IT from Bananagrams is a surprisingly addictive, highly entertaining quickfire word game. ZIP IT comes in a high quality zipped up travel bag. In the bag are 24 very tactile cube dice with a letter on each side. 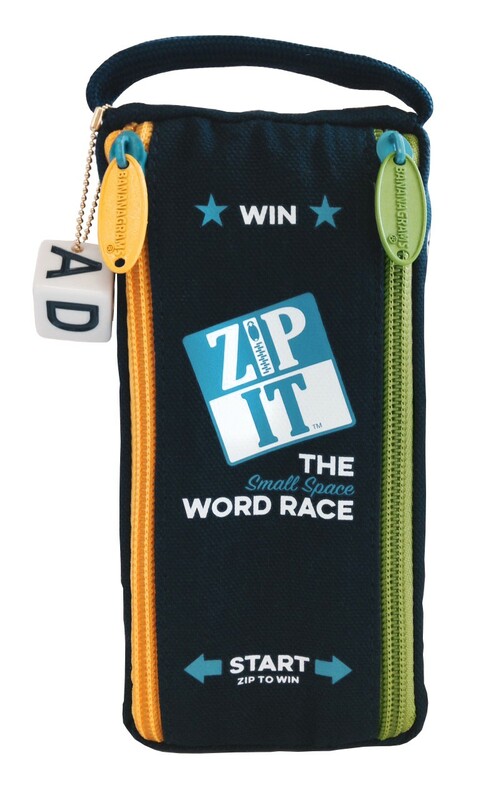 Once players open the bag, there are very few rules to ..
ZIP IT from Bananagrams is a surprisingly addictive, highly entertaining quickfire word game. ZIP IT comes in a high quality zipped up travel bag. In the bag are 24 very tactile cube dice with a letter on each side. Once players open the bag, there are very few rules to learn (thankfully!). Players grab 12 cube dice each, and play commences. Players have to lay down some of their cubes in a straight line word and then need to keep adding words until they have played all their cube dice. The first player to be rid of all their dice is the winner of that game and uses the zip on the travel bag to add a point to his score (score levels are printed on the bag along the length of the Zip!). The first player to reach ten points is the overall winner. There are two things we particularly like with ZIP IT: firstly the simplicity of the game means that there is no painful learning curve like you get with some games in terms of trying to understand detailed instructions; and secondly the game is quietly educational in a fun way. Some word games we have tested are a little serious and perhaps even a little intellectually stretching for the likes of us! With Zip It, while players definitely have to use their minds, it’s more about speed of thought than it is about who has the best vocabulary. Mental flexibility is key. Because of this, we found that parents and kids can play this game on a fairly even level, which makes it more fun for everyone. 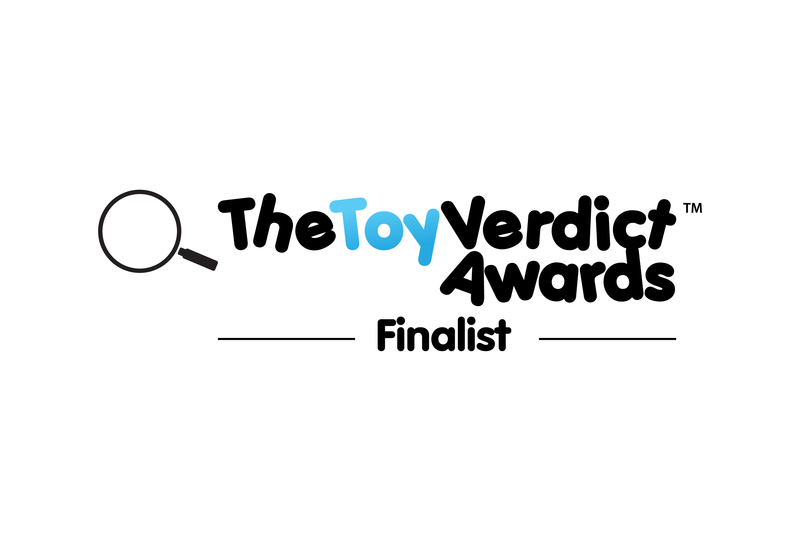 Where parents have a clear advantage a game can be dull for the parents and frustrating for the child, in the case of ZIP IT this is definitely not the case. Moreover, because each round of the game is so quick, there isn’t really enough time for even the most fidgety of kids to get bored! 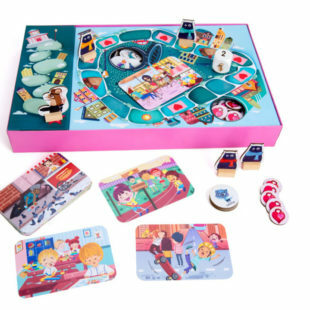 The game is very portable and can be played on fairly small spaces i.e. planes and trains etc. 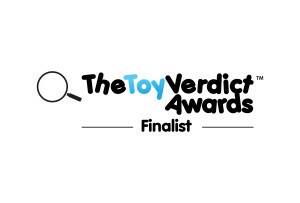 THE TOY VERDICT: We really like ZIP IT. It’s simple, accessible, quick to play, fun and has a strong but not off putting educational slant. Recommended.